Retirement is another chapter in one’s life that can both be thrilling and boring. This can really be up to the retiree—he or she can take it easy, just relax and enjoy being at home with the grandkids, or they can use their time and resources to fulfill an unfulfilled passion. With an empty nest, the house all paid up and more free time and funds available, a retiree can have all the good things in life with less responsibility—perhaps going out with high school and college classmates, attending reunions, playing golf, or sipping cocktails at a veranda overlooking the sunset. These are all nice and retirees deserve all of them. After being in the work force for 40 plus years, braving the everyday commute or drive, beating unending deadlines, saving for their kids’ college education, insurance, athletic activities, and maybe a son or daughter’s wedding, retirees deserve a relatively laidback life. While these activities can be very enjoyable, all of it costs money. Before the retirement benefits run out, it’s always a good idea to go into a more exciting but profitable endeavor that might not be as time-consuming but can give the best returns for one’s investment, especially because hard-earned retirement funds would most likely be put into this activity. Retirees can always consider a franchise business. As a franchisee, the retiree is not alone in running the outlet. He has a partner in the person of the franchisor who will provide him with the business basics—use of the name and logo, site selection and evaluation, a complete franchise operations manual, a business structure plan, assistance in marketing and start-up activities, research and development on new products and services, as well as sales training support and continuing franchise advice. Are you a car enthusiast? In the Philippines, the automotive industry is a dynamic and constantly growing sector. In 2016, about 25,000 vehicles were sold every month. And what’s more consistent with car sales? A car care service. Pulse Creative Innovation (PCI) specializes in premier detailing services and innovative car products. 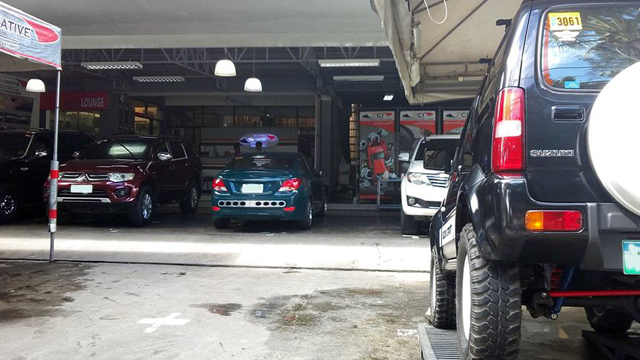 Having been in the industry for 10 years now, PCI continues to serve thousands of car owners and car establishments in restoring their car’s condition. Keeping the customer’s needs in mind, PCI pioneered the one-day Home Service detailing (faster than the three-day detailing norm) which is convenient for customers in the Greater Metro Manila area. The reach of PCI’s services encompasses all cars, from brand new to used cars, of all models and types. PCI is a service-based business so it is their utmost priority to always improve and innovate their services and product offerings. The headquarters has established strong training programs for their service providers, backed up with a continuing mentorship and operations assistance. They also pioneered a 24/7 Customer Care hotline as a platform for their home service bookings, assigning customers to the nearest branch. Aspiring franchisees, especially retirees, need not to worry about training their people and can enjoy minimal supervision of the business while earning a profit. One of the hardest things in managing a business is managing people. But with technology becoming more advanced, it’s now possible for businesses to hire fewer employees while still remaining in full operation. 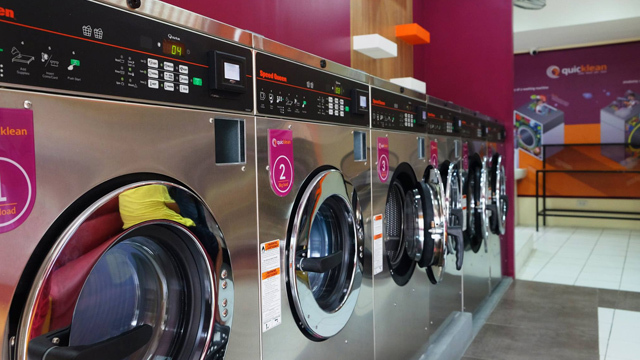 The laundromat industry is one of the biggest categories in the franchise industry that promotes complete automation on its operations and systems. 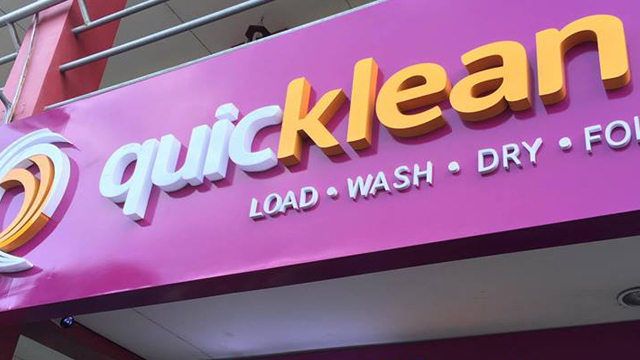 Quickclean is the country’s premier self-service laundromat chain that offers fast, hassle-free and affordable washing and drying services. Powered exclusively by SPEED QUEEN, the largest self-service laundry brand in the world, Quickclean gives the customers the ability to fully customize their laundry cycle, from the temperature of the water to the detergents used—similar to home washing—at a fraction of the time. Requiring just two people to manage a day’s shift and all the machines doing the labor, no nitty gritty inventories and very minimal spoilage, Quicklean allows aspiring franchisees, like retirees, to enjoy their day while spending only a fraction of their time in the business. This franchise business satisfies a huge need and is not just a fad, which many retirees avoid. Best of all, all market levels can afford Quicklean’s services. 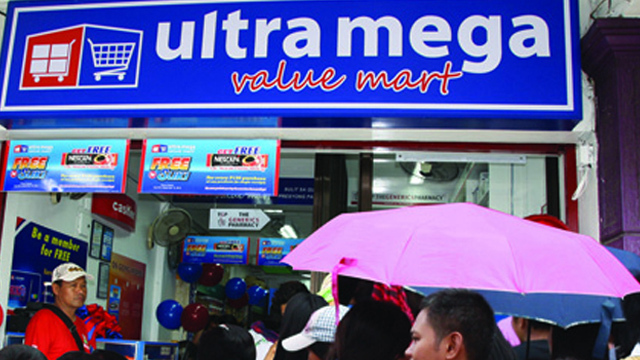 The Ultra Mega Value Mart is a micro-store concept by Ultra Mega Multi Sales, one of the largest grocery goods wholesaler and supermarket chain in the Philippines. It provides a wide range of quality products at affordable prices and is strategically located across neighborhoods and business hubs across the country. Retirees can look into this exciting franchise concept called Ultra Mega Value Mart because it is a brand new store concept that can be best described as a cross between a convenience store and a grocery. At 40 to 60 square meters, it has the size of the average convenience store but maximizes value by carrying a wider range of products. It does not need to be in a mall or any high-end commercial spaces to do well as it targets the lower consumer market. The items are those one would typically find at the nearest grocery store but all the while maintaining affordable price points that beat out any small store format of its kind. The versatility of this franchise in terms of location allows retirees to manage their business even far from home. Kidney disease remains to be prevalent in the country, with an estimated 60,000 patients suffering from this dreaded illness. The population of those undergoing dialysis goes up by 20 percent every year. 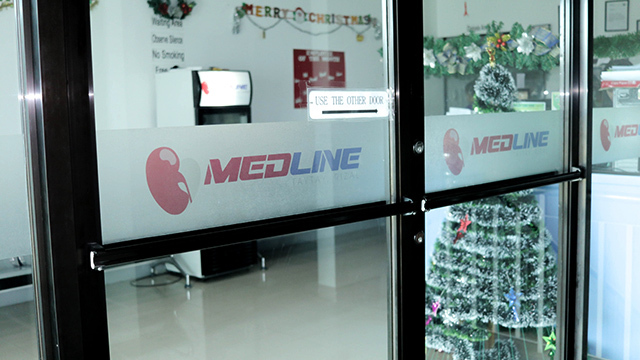 In line with assisting Filipinos in meeting their needs for this type of health service, MedLine Dialysis Center is at the forefront of providing quality patient-centric healthcare for those suffering from kidney ailments. Its commitment to extend care beyond treatment gives every Filipino the best dialysis services at comfortable prices. Its strong years in the industry, performing above industry standards and above income projections, have led to its expansion to two branches in Malabon City and Taytay, Rizal. As some retirees also dedicate their time in giving back to the community, franchising a dialysis center like MedLine would also mean giving better and more accessible healthcare services to those who need them. To date, Philhealth sponsors 90 sessions per member undergoing dialysis per year under their improved payment system. PhilHealth’s number one expenditure goes to hemodialysis procedures, amounting to Php8 billion. In business, this means that owning a dialysis center is running a stable and long-term business. Being the franchise hub of Asia, the Philippines has over 1,500 franchise brands to offer aspiring franchisees, whether they’re retirees or not. The most important thing is having the right resources at the right time and makeing the right decision to start. U-FRANCHISE SALES & MANAGEMENT conducts monthly Franchise Seminar helping aspiring franchisees know more about franchising in the Philippines and the latest franchise opportunities. Check the seminar schedules here. Get a FREE FRANCHISE CONSULTATION - (+632) 634.05.86, (+632) 634.37.17 Mobile: (+63920) 983.02.47, (+63917) 881.69.99 or visit their website www.ufranchiseasia.com for more information. Sam Christopher Lim is the Chief Marketing Officer of Francorp Philippines; President of U-Franchise Sales & Management; and Chairman for ASEAN Integration of the Philippine Franchise Association.